Click here to view last year cover featuring Emily Ratajkowski, here for 2013 cover with Drake, here to view 2012 cover featuring Kate Upton, here to view 2011 cover featuring Chris Evans, here for 2010 cover with Taylor Lautner, and here for 2009 cover with Brüno. Click here to view last year cover featuring Daniel Craig, here to view 2011 cover featuring Johnny Depp, here for 2010 cover with Marilyn Monroe, and here for 2009 cover with Penelope Cruz. This is one cool cover. 42 year old rapper, Shawn Corey Carter or famously known as Jay Z, was photographed by Cass Bird for the latest cover of T The New York Times Style Magazine Men’s issue. Click here to view last year cover featuring Cristiano Ronaldo, and here for 2010 cover featuring Stephen Dorff. The cover photographed by Nathaniel Goldberg is a reprint from GQ US December 2011. 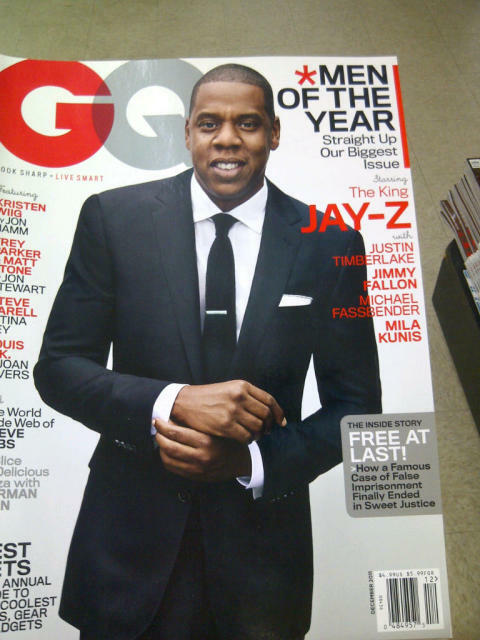 UPDATED NOVEMBER 15th 2011: Added better cover image of Jay-Z photographed by Nathaniel Goldberg. Image via TFS. 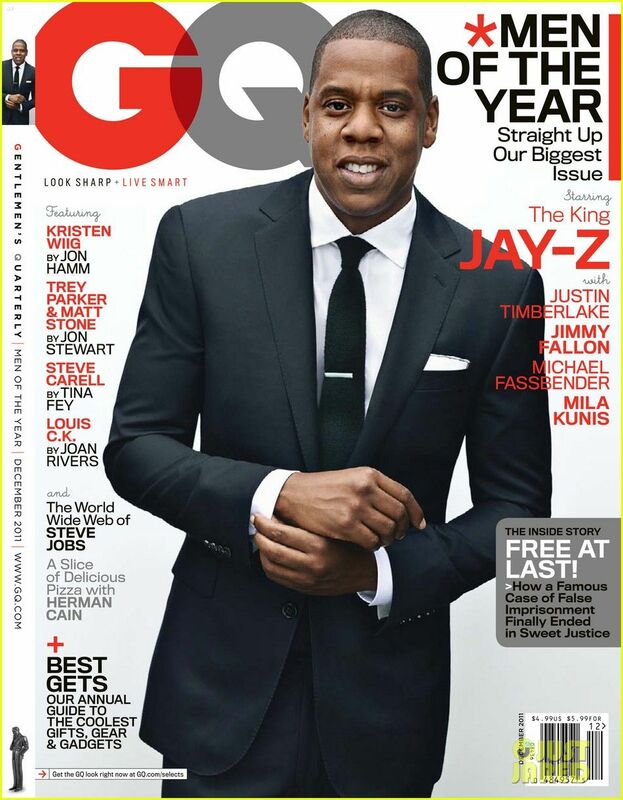 41 year old rapper Shawn Corey Carter or famously known as Jay-Z is looking good and all suited up for the December cover of GQ US. Based on the magazine cover, should we expect more covers featuring Justin Timberlake, Jimmy Fallon, Michael Fassbender and Mila Kunis just like previous Men of The Year issues? Click the links to view last year covers featuring James Franco, Stephen Colbert, Jeff Bridges, Drake and the incredibly sensual Scarlett Johannson. 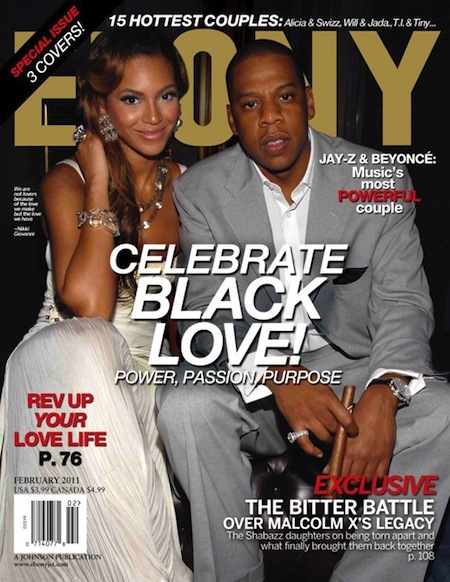 The Power Couple Beyonce and Jay Z features for the February issue of Ebony magazine. But we wished they had a real photoshoot..